Beautifully illustrated story of a boy who fell in love with the sea and dreamed of breathing beneath the waves. An inventor, adventurer, explorer, poetic writer – a remarkable person. This was another fun book to read! 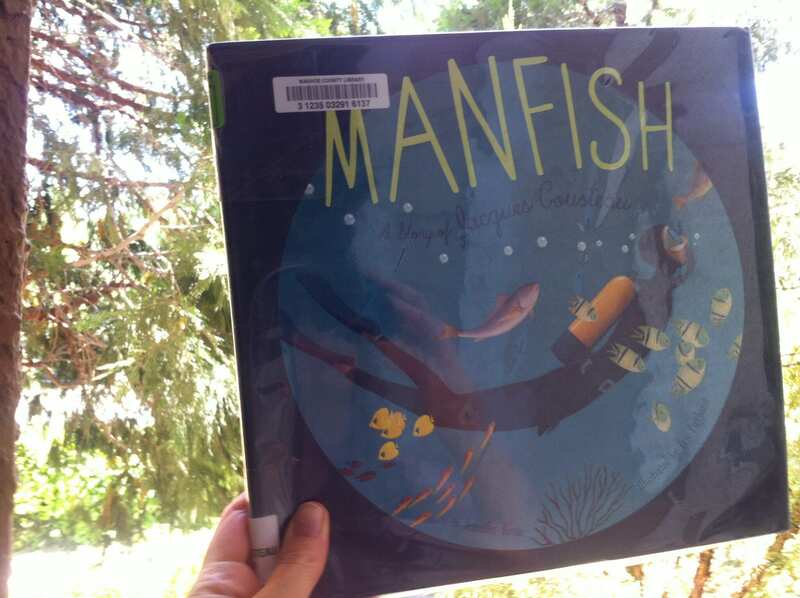 This entry was posted in Book Reviews and tagged book lovers, manfish book, Story of Jacques Cousteau, we love books by Camilla. Bookmark the permalink.